Google has made our life very easy on Internet. Hence half of the world’s population recognized internet with the snap of home page of Google in their mind. Google has created such an extraordinary and superb impact on very everyone in the world. In 2009, the trend of ‘Being Social’ came into existence and many social platforms got highlighted. So, after understanding the nature of search results, search type, data and content over the web, Google also went social with an amazing social media platform, introducing the fabulous Google+ in 2011. Google described it as ‘social layer’. Currently till October 2013, it has 540 million users, which is very quick growth. To make Google better by including you, your relationships and your interests, Google+ project was started. Today, this social media platform has become very important for any business sector, people, marketers, and of course Google too. Since it launched, Google + came under many changes, and upgrades as per user experience and usability. It gives more important to visually content, as users or any layman get entertainment and appreciates photos, video (or movies), animated graphics than text content. Hence, recently Google plus has added new Photo & Video Editing features, which is just so Awesome. These features are configured with new functionality which completely compatible with Iproducts like Imovie and IPhoto. Let’s highlight these features, so that you can use it well and get great user experience. 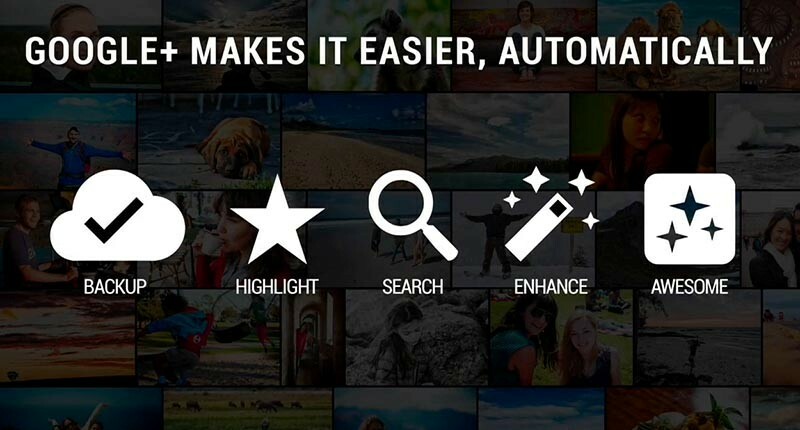 Google+ has extended online video editing tools, by now trendy photo editing app in a new version called Auto Awesome Movie. It’s like most frequently used IMovie, Auto Awesome Movie can accumulate various effects like video sequences, add a soundtrack and even offers a variety of styles and filters. You know, Google+ has got many new editing features which can compete with the high level Apple’s IPhoto. It has quick editing functions as auto-enhance. Now the really awesome Auto Awesome allows users to create animated GIFs and all in one sequence photo from a serious of your image collections. Google keeps on changing the photo search algorithm into Google+ photo search. It actually helps to get the better photo search results not only of yours, but as well as of your friends, and communities. Today around 400 million users are actively using Google+, as it is second largest social media platform, the gradual growth of active users is increasing. Google keep on updating many new features to make User Experience better and better. So to have such experience, get started with your G+ account and try out the new amazingly awesome editing tools today.